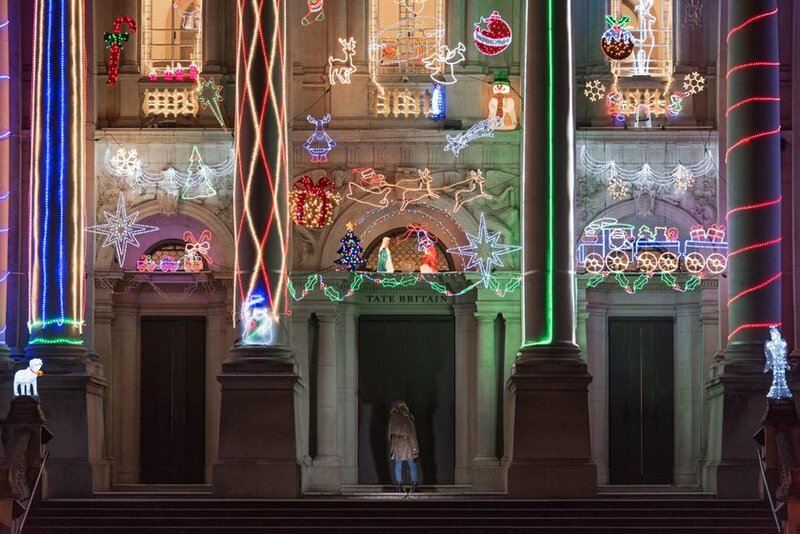 This year, Tate Britain has invited Alan Kane to devise an exciting new work for its iconic façade to mark the Christmas season. This playful commission aims to turn the historic gallery building into a tribute to extraordinary everyday creative expression. Kane’s work often incorporates found or readymade objects, and brings attention to everyday forms of creativity. Within his various projects and collaborations, he draws attention to the dividing line between art as defined by academic convention and art as a more commonplace creative act. His inclusive, humorous work blurs the distinction between innovation and tradition, the amateur and professional, and perceptions of high art and low culture through the insertion of familiar and often comic objects into artistic contexts. Home for Christmas: A Commission for Tate Britain by Alan Kane has been curated by Aïcha Mehrez, Assistant Curator of Contemporary British Art at Tate. The exhibition is on view until Jan. 6, 2018.